Comment I am Ex. Navy (Submariner) retired as PO in 1995. What will be my DL -33 arrears. As per Circular 568 Annexure `D` pension should be 6420 w. e. f. 1/1/06 Was not received by me. PCDA Circular 555 dated 04/02/2016 para no 11(C)pensioner, who had retired with a particular rank and granted ACP-I will be eligible for revision of pension of new higher rank of ACP-I These all above increment when will be adjusted in my account. Comment In reply to SUKANTA SADHUKHN. 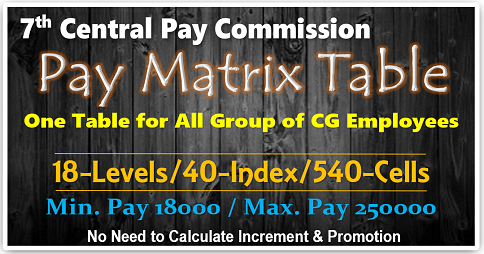 Your pay will be same as Rs.29,200/- upto 30th June after increment it will be from 1st July as Rs.29,600/- in stage 6 matrix level 4 (GP 2400). This is to inform you that in the 6th CPC they have added full grade pay for serving employees & for pensioners it will 50% of their basic pay as pension. 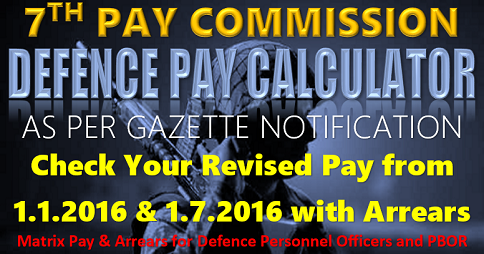 The pay scales were removed for designated posts, in 6th CPC on the basis of Grade Pay they make in 7th CPC as MATRIX LEVEL. In that matrix level you will in service it counts from first year if you are in 18 years in service it in in the stage 18. 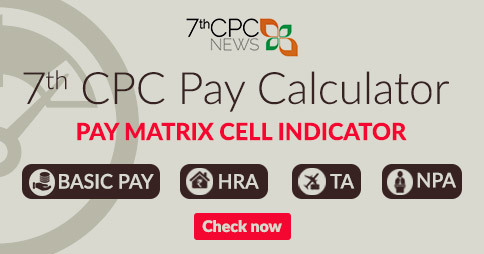 Moreover the calculations are as your last basic pay in the 4th CPC of Rs.5850, in 6th CPC maximum 47,890 x 2.57 it comes 123077.3 in 7th CPC it will be rounded to Rs.123100, 50% notional pension as Rs.61550/-next stage of last basic crosses Rs.6000, In 6th CPC minimum 47,900 x 2.57 as Rs.123103/- pension rounded off to 63,400/-. Good news for you that from the Month of APRIL,2020 you get addition pension of 30% with D.R. Comment Objective: To determine the date of next increment (DNI) upon promotion from Level-9 to Level-10 and opted for pay fixation from DNI not from the date of Promotion. I, Vijay Kumar Gupta, vacated the post of Audit Officer (Level-9 and drawing basic pay as 75600 as on 31.12.2018. I was on official LTC (30.12.2018 to 06.01.2019) and in between a promotion order was placed to promote myself as Sr. Audit Officer (Leve-10) w.e.f. 01.01.2019 and order was circulated to join on 01.01.2019. Due to on LTC upto 06.01.2019, I could only join the new post (Sr.AO) on 07.01.2019 and took the charge of assumption. Dear Shri M.K.Kumar, Thank you for your advice of 8.2.2019 for getting the matter settled through CAT or Pensioners, Adaalat. I have all along been pursuing with the departments- SOI, DS&T, DoP&PW, DoE, etc. At my age(nearing 89 years), I have no energy to go through alternative means. I am thankful to you that at least I have been getting response to my queries. Hope you don’t mind my .correspondence with you. Can you give your expert opinion whether it is reasonable on the basis of actual bare facts I supplied to you, for me to claim pension on the basis of 18th stage in Concordance Table 44. Further, what is the purpose behind two sets of tables under the headings, ‘Min and Max’ for retirees during 6th CPC Period. If you don’t mind, may I know whether the Gov’t. has engaged you for replying to public queries on the internet or you are doing it on your own, as a Social Service. Thank you for your replies. With regards and best wishes, GS Oberoi, Noida. Comment now I am tech -1 (from 27.7 2018)gp -2800 .my basic 29200 if I take mutual with tech ii (gp-2400)what will be my basic pay after transfer. You are at Matrix level 1 you have to get increments only, due to your education. You have to pass 10th exam then only get promotion. Govt. of India,Ministry of Finance,Department of Expenditure, North Block, New Delhi Dated the 07th February, 2019. One day you may also receive your bunching stage. 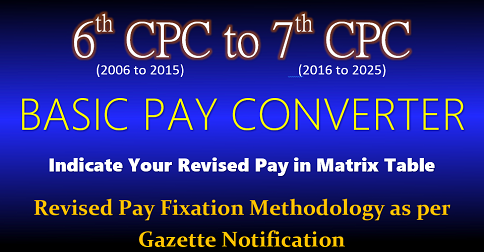 Bunching of stages of pay in the pre-7th CPC pay scales consequent upon fixation of pay in the revised pay scales based on 7th CPC­. You may also take this issue with NATIONAL COMMITTEE LEADERS through any of registered Pensioner’s Association or lodge a complaint in the site ; http://www.pensionersportal,gov.in One day you may also receive your bunching stage will solve. Sir your case is settled by your department, if not favorable you can go to through cat or Pensioners audalat. You are delayed so much time past several years. In this age you should take without tension and get additional Pension more percentages, otherwise it will be affected your health Sir. Please settle this with the close relatives/friends & properly as early as possible.. I am in Chennai, Tamil nadu Sir. 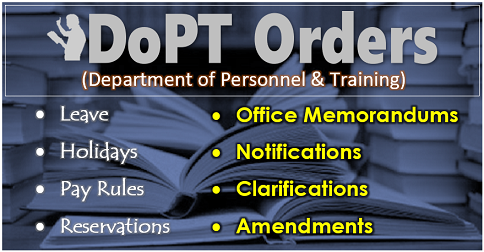 Your departmental (promotional) queries will be settled by the same with them only. If it is not settled you can go to the Cat. Comment Retiredrailwaypensioners retiredon 31st may2004 with basic pay 8300 in scales 6500to 10500 intially pension shown as 6120 in 6th pay it was 9221 and grade pay shown 4800 in 7th pay shown first 23698 then as notional pay formula 25250 ingrade pay 4200 now on 4th jan.2019 asper new orders for pre 2006 pre pensioners in the same scales grade pay has been given 4600 so pl let me know what will be may new pension from 2016 in 7th pay inthe above mention scale whatwill be the arreas . Also inform me it’s applicable for me or not…. Sorry to have posted my reply twice, as I thought my first Reply failed to get posted. You have not mentioned which state, we have to see the Rules of that State. 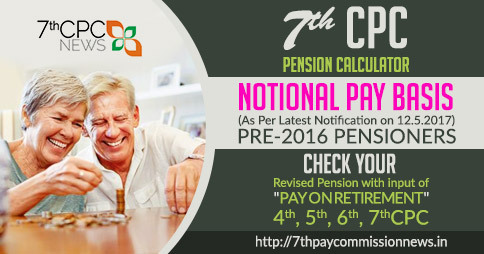 Any how you are not getting GOVERNMENT PENSION, so will get your NPS amount accumulated and other amounts recovered from you at any time. Comment I Registered for ECHS SMART CARD Renewal Successfully,Bout online application form is not able to fill up due to non editable document . Comment I am a teacher of aided inter college of up state government joined the job on 07-11-2005 in NPS and now I want to take VRS. Kindly, give me proper direction in this regard. To clarify further, my total qualifying service is 34 years 8 months from 1.8.1953 to 31.3.1988(date of retirement). I was promoted to JAG post of Deputy Director (equivalent to SE, CPWD) on 15.5.1970. This post then carried the pay scale of Rs. 3700/- to 5000/- in IV CPC Terms, but was upgraded from 1.1.96 and given the scale of Rs. 14300/- to 18300/- (V CPC Terms). I was promoted to the Functionally Higher Level Post of Director on 10.12. 1980(the highest scale post that existed in the department for the Cadre) hand held it till my retirement. Comment I was appointed as Group “D” employee in the pay scale of Rs.750-12-EB-14-940 on 10-04-1987. Till now I did not get ACP and MACP. Would you like to tell me that where will my pay be fixed and what would be the total gross of my salary? Thank you for your prompt response of 4th Feb. 2019. I sincerely appreciate the time you are spending to clarify my doubts. I intentionally did not give any intricate details to keep my query, as simple and straight-forward, as possible, and also to save your valuable time. Further requisite details are as under: I entered Srvey of India, Group ‘A’ service in 1954 through Open UPSC Competitive Exam. held in 1953(in which I stood First) and retired on 31.3.1988 as the senior-most civilian Director of the Department…. Comment I was promoted to the higher post in the same office wef 01.09.2018 and I was present on the day at office and fulfilled my duties. Being Saturday, my date of charge assumption was not accepted by admin wef 01.09.2018. Instead, it is considered wef 03.09.2018 (Monday). Pay fixation in the higher post was done wef 03.09.2018. As I was on duty as on 01.09.2018, I become eligible to assume charge as on 01.09.2018 and get monetary benefits from the same day. Comment I S.Thangaraj retired as a Havildar ( ORL-I , 18 yrs) on Dec 1998 from Corps of Signals. Pls tell me the pension which I will get after this letest amendment of 7th CPC sir. Comment Sir, I am retired from Army (Artillery) as Nb Sub after 26 year of Service. I am drawing pension Basic 26, 741/- plus DA as applicable , please let me know the revised pension as per Circular No. 611 at your earliest & oblige. Comment I retired on May 2003 after complition of 17 yrs and 10 month of service as naik (TS). What is the new pension to me. Comment I have availed my Home town L.T.C for the block year 2018.-19 on the month of July 2018 and Now I want to avail all India L.T .C in lieu of my Home town my retirement date is 30.04.2019 . Comment No present govt should not need to increse the retairement age .we will not support bjp any more . Comment What is the age restriction for class 1 for joining in kv school, what is cut off date? Comment What are the documents needed for online registration of class 1? Comment The central Govt should allow 02 years more in retirement age to Physically handicapped employees over and above the retirement age of 60 years for normal central govt employees on the pattern of that provided by various state govts like Punjab, Haryana etc. Moreover a provision is already there in Equal opportunities Act, 1995 whereby a PH Employee can seek 02 years increase in Retirement age. GOI should bring out a notification to this effect so that PH Employees need not to go to courts for this benefit. Comment My salary is in level 7 on Rs.60400.I have to get promotion in level 8 in month of April . What will be my basic salary & when will I get next increment?? And I got one mscp pramostion after 10 Years in 2000 GP. Comment Sir i am 100percent army Disabled sholder .sir ji latest disabilty 18000 for fix.1.1.2016. Comment I am retired in 1983 as a havaldaar clerk 15 year service. So pls tell me what will be my new penson after 7th pay amendment. Comment Can we take CCL less than 15 Days ? Comment I am a central government employee. I will be on maternity leave from June to November 2019. Am I eligible for increment on July 1st? Comment It’s been 7 months Risk allowance is not being credited on my account I,e may 2018- jan-2019. I am sincerely thankful to you for your detailed prompt reply of 3.2.2019 at 5.58 PM. I wish to bring to your kind notice that the pension of Rs. 61550 for a retiree from this post is the Minimum, being based on the First stage of the Concordance Table 44. I am actually entitled to pension on the basis of 18th stage, allowing for over 17 years’ service in this Post, before my retirement. I may point out that a number of my juniors who put in less years of service than mine in the Post are drawing much higher pension than the Minimum of Rs. 61550/-. Comment Sir I JC 273850w EX subedar kuldip singh retired from artillery as on 01 march 2015 but my pension is not included in OROP. Please initimation me. Comment I have retired in 1989 after putting in 26 years of service as MWO. What is my new pension after implementation of OROP. Thanks for your reply dated 10th August, 2018 to my query t0 DoE and DoP&PW, which I saw just now. I retired from the post of Deputy Director, Survey of India(a Central Engineering Service) on 31.3.1988. This Post (being equivalent to SE, CPWD), was Upgraded and given the scale of Rs. 14300/- to 183oo/- (corresponding to Rs. 4500/- to 5700/- in terms of IV CPC), w.e.f. 1.1.96. All the Deputy. Directors, in service on 1.1.96 in the Survey of India were, accordingly, PLACED in the Scale of Rs. 14300/- to 18300/- from 1.1.96…. Comment It is stages of senior of Service your sealing limit from ₹ 37620 to 37700 in stage 12, if your sealing crosses 37710 you will be getting ₹ 49900/-. Other person’s stage is 29 of ₹ 37,590 to 38,710/- due to crossing ₹ 10/- he is getting ₹ 49,750/-. These differences are due to getting Promotions in Service and also appointed in early service getting increments in the previous years. These are reflected in the Matrix levels also in rounded off the formula 1. Basic pay plus grade pay multiple by 2.57 total rounded off as per early Services but due to late Promotions. Appreciate, seens three differences, due to this viewers all may note. Thanks. Comment Sir, My Basic Pay is Rs.32000/- in level -3 and I also got MACP-1 on 24 Sep 2014 (from GP-1900/- to 2000). Now, I am promoted on next level -4 wef 28 Jan 2019. Please show my fixation of pay with option. 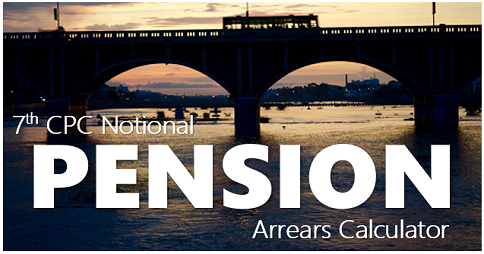 Comment Sir, Pension of retired person for Pre-2006 retiree had been fixed wrong w.e.f. 01/01/2006 after new order.pl provide ready rockner table for that as it had been issued for 01/01/2016. Ravindra, New Delhi. Comment While a female employees central government availing leave after first spell of 366 days then after join services and avial again 180 day what calculated saliory at 100 percentage or 80 percentage ? Comment I am EX NK Madhusoodhanan.S.retired on 31st march 1992. As per 7th CPC how much total pention will get. Comment My basic pay was Rs.37650 at the time of my retirement(31.1.2011) including GP7600.My pension has been fixed @Rs.48450 p.m.as per concordance table of level 12. It has been noticed by me that in level 11 whose last pay was Rs.37590 including GP 6600 are drawing pension @Rs.49750 as per concordace table issued for fixation of pension.It shows in lower grade pay with lower basic is getting more pension then me.How this anomaly can be solved? Comment I am retired from Army on 30 Apr 2016. Am I eligible for OROP ? Comment Retirement age of central government increase to 62, It will be well for General election of 2019. Comment I was appointed as LDC in 1992 in the pay scale of 950-1500/-, and promoted to the post of UDC w.e.from 30.06.1998 in the pay scale of 1200-2040. After completion of 10 years of my service and date of implementation of macp I got my IInd financial upgradation w.e.from 1.9.2018. On 1.7.2018 I got the promotion in the Level 6 of CPD to the post of Head Clerk. Presently my basic pay is Rs.46800/- before promotion with date of increment month i.e. July. My 3rd financial upgradation MACP is due on 1.9.2018.. Please tell me my basic pay with effect from 1.9.2018 and option to be given from date of promotion or date of next increment. Comment central govt. employees ko 60 se 62 kare, tabhi aapke sath. Comment jaldi se central government employees ko 60 se bada kar 62 karne se sarkar ke liye thik hoga. Kiyoki 2019 me bahut sare employees ka yahi ichchha hai. Aor employment samandhi koi na kary kare tabhi jakar 2019 me sabhi koi aapke pachh me rahegai. Comment Would like to have 7th pay commission civil pensioners matrix .Kindly do the needful. Increased limit of Graduaty from 20 lakh to 30 lakhs in interim budget 2019-20 is applicable to empolyee retiring on June 30, 2019. Gratuity is counted as per your service. The maximum limit was increased. If you are crossing the limit it may get to you. I am retiring on 30th June 2019, Whether One notional increment is applicable for my pension benefit.. So far no orders issued.